Joyce McNeal was diagnosed with ALS two years ago. Immediately when the doctor explained what her life with this disease would be like, she chose to be a fighter. She would fight for herself and her loved ones, to enjoy every moment they have together. She would fight for the ALS community, to bring awareness to this disease and demand higher quality of care and government benefits. And she would fight for ALS researchers and clinicians, so they can find the answers to so many questions ALS leaves lingering within us. “From the beginning, I was determined. 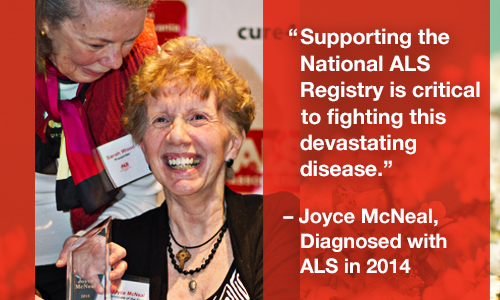 On the very first day I visited the ALS clinic in my area, I enrolled in the National ALS Registry. The ALS Association Western Pennsylvania Chapter, which helps me navigate life with ALS by providing critical information and help when I need it, explained to me the importance of the Registry, that it is the largest ALS research project in the country and is essential to scientists’ understanding of the environmental and genetic factors that may cause ALS. It quickly became clear to me that the Registry was something I wanted to contribute to,” Joyce said recently. The National ALS Registry is made possible by ALS advocates who educate Congress about what it’s like to live with ALS and the impact big data can have in ALS research. 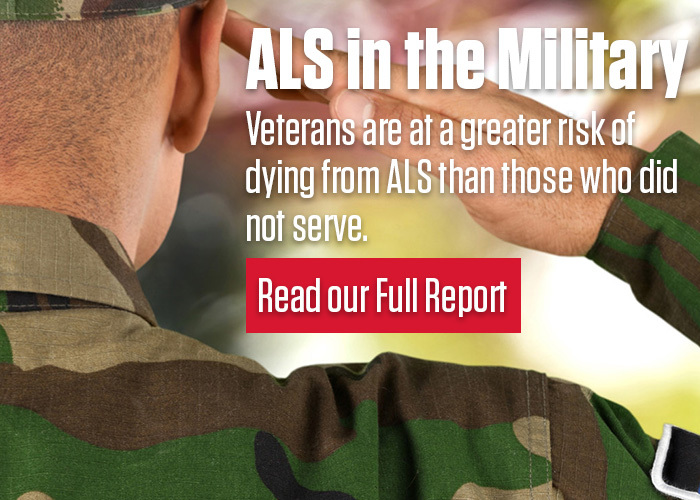 ALS advocates make a huge impact in the fight against ALS. You can join the force during ALS Awareness Month by becoming an advocate today! When you sign up to become an advocate, you’ll help secure more funding for research, advance legislation that speeds up treatment development, and protect access to technologies and supports needed by people living with this disease.